With national elections looming in Greece in 2019, the name deal with the Former Yugoslav Republic of Macedonia (FYROM) is expected to play a pivotal role. FYROM’s parliament is expected to ratify the deal, also known as the Prespes agreement, by January 15 at the latest, which means that the ball will be in the court of Greek lawmakers. The general elections are, according to analysts, expected to take place in either March or May and will to a large degree be determined by the developments regarding the deal, as well as by the reaction to the government’s handouts in January – including a hike in the minimum wage. Moreover, the government hopes to profit politically from Greece being able to tap international markets in coming months. Another pivotal factor will be the outcome of negotiations between the government and religious authorities on relations between church and state. 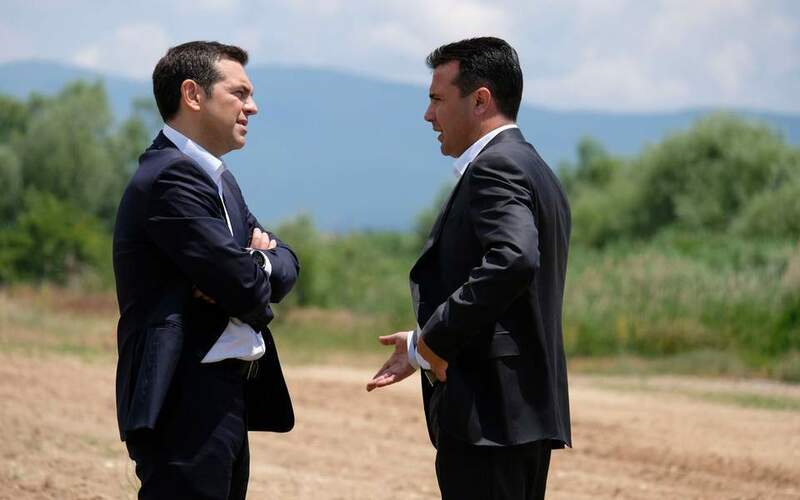 Given the name deal’s potential political cost to the government, Prime Minister Alexis Tsipras has, reportedly, been given time by his FYROM counterpart, Zoran Zaev, and the other international players to bring the deal to Parliament for ratification at a date that best suits him. According to reports, Tsipras has also been given the option to ratify the deal in Parliament by March at the latest and to defer a vote on a protocol that will lift Greece’s objections to FYROM’s bid to join NATO after national elections. However, sources have told Kathimerini that the most likely scenario is that Tsipras will bring the Prespes agreement to Parliament relatively soon – in late January or early February. The same sources also said that there will be no delay on the vote allowing FYROM to join NATO, so that Greece adheres to the letter and spirit of the agreement. Furthermore, Tsipras will be able to brandish his international credentials as a leader who sticks to his commitments. Regarding the threat by junior coalition partner leader Panos Kammenos to leave the government over the Prespes agreement, Tsipras is reportedly not concerned, as he is confident he can muster the 151 votes needed in Parliament for its ratification. Moreover, Kammenos has pledged not to back a censure motion that ND plans to bring against the Tsipras government over the name deal.